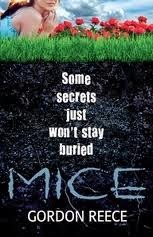 Aimed at a young adult readership, Mice is a short, dark thriller narrated by Shelley, a 16-year-old girl living in a remote cottage with her mother - or perhaps 'hiding' would be more accurate, because Shelley and her mother are 'mice', perpetual victims who have retreated into isolation to escape the bullying influences that have come to dominate their lives. Shelley's now absent father was controlling and, it's hinted, violent; Shelley herself has been bullied so badly at school that she's now educated at home. For a time, their life at the cottage seems safe and secure, as they decide they need nobody but each other to exist happily, tucked away from other people. But when something happens to disrupt the equilibrium, it seems that Shelley and her mother can't survive as mice for much longer. 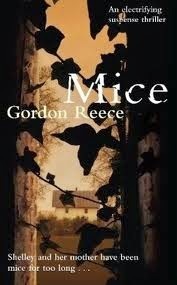 As a thriller, Mice certainly succeeds - I would defy anyone not to keep turning the pages to the end. However, the plot is really secondary to a more ambiguous message as Shelley and her mother change and grow with their changed circumstances. Reece wisely leaves the reader to form their own opinions about what the novel's end really means for Shelley, and I can imagine the open-ended conclusion providing rich fodder for many a book club debate. I would suspect that opinions will differ, too, about the relationship between mother and daughter. Are they devoted soulmates with the perfect parent-child bond, or are they feeding each other's neuroses, encouraging each other's status as victims? There are certainly times when the reader might guiltily have an inkling of why both women seem to fall prey to bullies: while nobody could ever a million years suggest they could have deserved anything that's happened to them, their weak timidity can be irksome in the extreme. doesn't quite work. The character of Shelley regularly failed to convince me as a real teenage girl, and I also felt the degree of change in her former friends, latterly her tormentors, was a little too extreme and heavy-handed to be credible. Moreover, I couldn't believe for a moment the reaction of Shelley's school to her difficulties. I think perhaps I was looking for a little more from Mice than I felt it really delivered. I'd have liked more measured progress in terms of plot and character, a little more complexity. I appreciate that I'm in my late 30s, however, and am therefore a long way from this young adult novel's target audience.